These are among the many vital security questions addressed in Dr Andrew Futter’s ground-breaking study of this worrying and little-understood development. 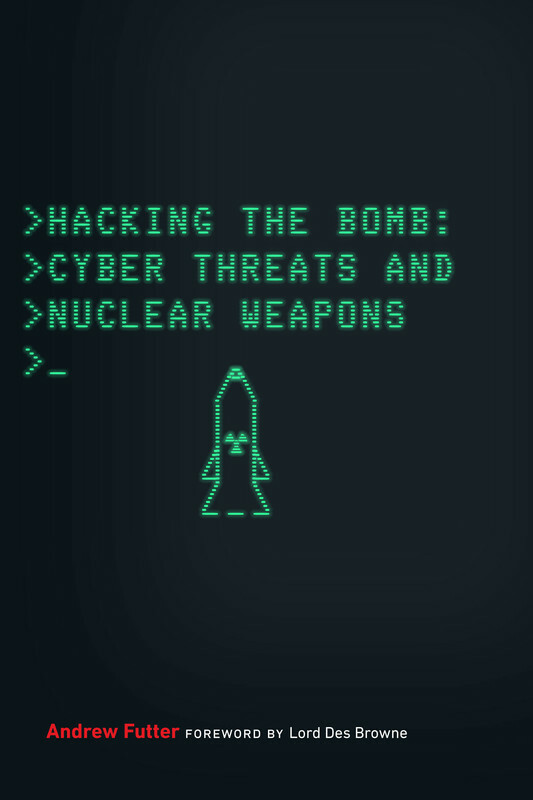 Hacking the Bomb provides the first comprehensive analysis of the cyber threat to nuclear weapon systems around the world. Dr Andrew Futter, associate professor at The University of Leicester, makes the case for caution when it comes to the way we manage the ultimate weapon. Many of the considerable number of nuclear weapons that remain in the world today are now held on quick alert and are increasingly reliant on complex lines of digital code. IT related options for our own destruction. Stories of loaded, but not primed weapons of massive destruction rolling out of in-flight cargo bays are not uncommon. Nor are error messages informing us of a massive incoming Soviet nuclear strike, before realising it was just a flock of pigeons, and etc etc. You get the idea. So then the question of our nuclear safety, now that we are in the digital age, should not leave us with any confidence that things are going to be any better. This book calmly and effectively illustrates that your worst fears are more than confirmed. This book is necessary, it is useful, it illustrates where the errors and the loop holes are. Will it actually save us from our selves? Who knows, but hopefully some of the more basic ways of doing so could perhaps be tightened up?